India’s huge, successful and highly profitable IT industry is facing powerful headwinds. IT outsourcing is changing, there’s a shift to new technologies while growing competition from Eastern Europe and Latin America are forcing India to re-evaluate its strategy. The new rising stars of the global IT scene are countries such as Poland, Ukraine, Romania, Belarus and Russia. Latin American nations such as Argentina and Brazil are also growing in importance. Although their industries are small compared to the might of India, they are providing stiff competition. India’s industry grew during the offshoring boom of the 90s and early 2000s as businesses from Europe and the US struck outsourcing deals with Indian tech companies. This created a group of tech giants in Bangalore that have become known by the acronym “Twitch” - Tech Mahindra, Wipro, Infosys, Tata Consultancy Services, Cognizant and HCL. However, little effort has been done to analyze the modalities of this support and the way it relates to Moscow's overall policies and objectives in Central and Southern Asia. This essay sets out to explain both the trend in Russia’s policies towards Afghanistan between 2013 and 2017, and the reasons underneath them. It explores Russia's actions vis-à-vis contending forces in Afghanistan and Central Asia in the broader context of Moscow’s rapprochement with Pakistan, its ties to India and China and overall anti-Americanism that has grown exponentially since 2014. We argue that this approach would provide a better understanding of Russia’s policies and objectives in Afghanistan. Pakistan: Death or Life for Christian "Blasphemer"? On October 9, Pakistan's Supreme Court heard the final appeal of a Christian woman who has been on death row for nearly a decade on the accusation that she insulted Islam's prophet Muhammad. The woman's fate is now sealed: "They [judges] have come to a decision, but it has been reserved," reported Mehwish Bhatti, an officer with the British-Pakistani Christian Association, from the courthouse. Aasiya Noreen -- better known as "Asia Bibi" -- is a 47-year-old married mother of five children who was charged with violating Pakistan's notorious blasphemy law nearly a decade ago. According to her autobiography, Blasphemy: A Memoir: Sentenced to Death Over a Cup of Water, on June 14, 2009, Bibi went to work picking berries in a field. Although she was accustomed to being ostracized by the other female pickers on account of her Christian faith, things came to a head when, on a sweltering summer day, she drank water from a common well. In an unusual turn of events, the latest China-U.S. industrial espionage case resulted in the detention of a Chinese intelligence officer. The arrest is a warning to the Chinese Ministry of State Security that the United States takes industrial espionage threats seriously. Such action is, however, unlikely to stop Beijing's aggressive behavior. Editor's Note: This security-focused assessment is one of many such analyses found at Stratfor Threat Lens, a unique protective intelligence product designed with corporate security leaders in mind. Threat Lens enables industry professionals and organizations to anticipate, identify, measure and mitigate emerging threats to people, assets, and intellectual property the world over. Threat Lens is the only unified solution that analyzes and forecasts security risk from a holistic perspective, bringing all the most relevant global insights into a single, interactive threat dashboard. Bloomberg Businessweek just published a report that has made some very astonishing claims about how China used a very small chip to accomplish a very big goal. The primary claim is “The attack by Chinese spies reached almost 30 U.S. companies, including Amazon and Apple, by compromising America’s technology supply chain, according to extensive interviews with government and corporate sources.” Invariably, this information discovered in 2015 by Amazon was passed onto the United States intelligence community. Bloomberg’s report said the discovery sent a shudder through halls of our national security agencies. You would expect a statement to be issued that talks about the impact this could have. Maybe one from the Defense Advanced Research Projects Agency—DARPA—that underscores the threat to modern computing. The US-Saudi relationship has been a rocky one, and its setbacks and scandals have mostly played out away from the public eye. This time, too, common interests and mutual dependence will almost certainly prevail over the desire to hold the Saudis to the standards expected of other close US allies. The alleged killing of the Saudi Arabian dissident journalist Jamal Khashoggi, a permanent resident of the United States, in the Kingdom’s consulate in Istanbul has unleashed a tidal wave of criticism. In the US Congress, Democrats and Republicans alike have promised to end weapons sales to Saudi Arabia and impose sanctions if its government is shown to have murdered Khashoggi. On July 11, 2018, the government of Argentina took its first action against Hezbollah by freezing the financial assets of 14 individuals belonging to the Barakat clan in South America. Last week, Brazilian Federal Police arrested the leader of this clan, Assad Ahmad Barakat, who was sanctioned by U.S. Treasury’s Office of Foreign Assets Control (OFAC) in 2004 and is considered one of Hezbollah’s most important financiers. These recent actions against Hezbollah in Latin America signal a shift in the priorities of regional governments, with Washington’s help. In a speech before the United Nations on September 20, 2017, presumably as a way to support his claim that Israel is "a rogue and racist regime [that] trample[s] upon the most basic rights of the Palestinians," Iranian President Hassan Rouhani repeatedly portrayed his government as dedicated to "moderation and respect for human rights," adding: "We in Iran strive to build peace and promote the human rights of peoples and nations. We never condone tyranny and we always defend the voiceless. We never threaten anyone..." One need only look to Iran's Christians -- who form 1% of its entire population -- to test these claims. Unlike the persecution other Christian minorities experience in Muslim majority nations -- which often comes at the hands of Muslim individuals, mobs, or professional terrorists -- the primary driver of Christian persecution in Iran is the government itself. They are three players, all problematic in their own way. They are the creatures of inconvenient chaos. Donald Trump was born into the role, a misfit of misrule who found his baffling way to the White House on a grievance. Wall Street, with its various agglomerations of vice and ambition constitute the spear of global instability while the US Federal Reserve, long seen as a gentlemanly symbol of stability, has done its fair share to avoid its remit to right unstable ships, a power in its own right. The Federal Reserve, despite assuming the role of Apollonian stabiliser, remained blind and indifferent through the Clinton era under the stewardship of Alan Greenspan. The creatures of Dionysus played, and Greenspan was happy to watch. While he is credited with having contained the shock of the 1987 stock-market crash, he proceeded to push a period of manically low interest rates and minimal financial regulation through the hot growth of the 1990s and early 2000s. Rather than condemning “Ninja loans” and other such bank exotica, he celebrated them as creations of speculative genius. The unleashed power of the atom,” Albert Einstein wrote in 1946, “has changed everything save our modes of thinking, and we thus drift toward unparalleled catastrophe.” Winston Churchill noted in 1955, however, that nuclear deterrence might produce stability instead and predicted that “safety will be the sturdy child of terror, and survival the twin brother of annihilation.” Einstein’s view became the touchstone of the modern peace movement. Churchill’s view evolved into mainstream Western nuclear strategy and doctrine. Both argued that the nuclear revolution had fundamentally transformed international politics. Both were wrong. As a constituent, I have noted with interest your suggestion that you will “take a hard look” at running for president in 2020, even as you campaign for reelection to the Senate next month. Forgive me for saying that I interpret that comment to mean “I’m in.” Forgive me, as well, for my presumption in offering this unsolicited -- and perhaps unwanted -- advice on how to frame your candidacy. You are an exceedingly smart and gifted politician, so I’m confident that you have accurately gauged the obstacles ahead. Preeminent among them is the challenge of persuading citizens beyond the confines of New England, where you are known and respected, to cast their ballot for a Massachusetts liberal who possesses neither executive nor military experience and is a woman to boot. The Pentagon’s in-house tech incubator is trying to stop Russia from scrambling US battlefield signals in Syria, federal contract documents show. 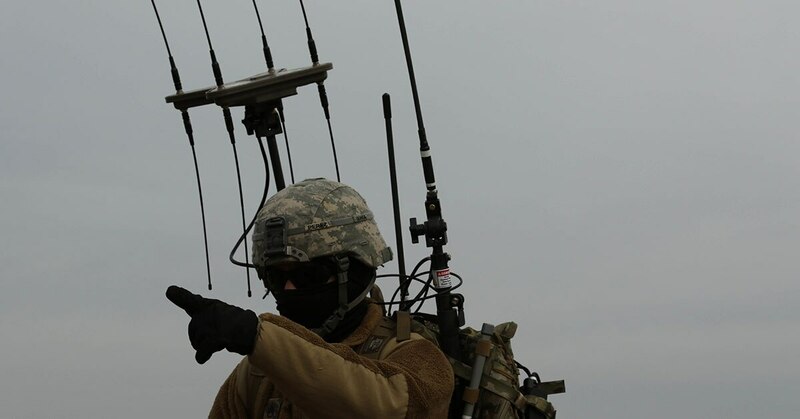 The Defense Advanced Research Projects Agency — or DARPA — has awarded at least $9.6 million worth of contracts over the past couple of months for radio systems designed to protect US signals used to call in air and artillery strikes. The agreements with US defense contractors Northrop Grumman and L3 Technologies come amid rising concerns that Russia could intercept and manipulate US targeting data. Russia will support various anti-liberal and far-right movements in Europe and Western-leaning former Soviet countries as part of its prolonged standoff with the West. Declining populations throughout Eastern Europe and tensions over immigration into the European Union will make countries increasingly vulnerable to exploitation by Russia. While Russia's efforts to undermine the cohesion of the European Union and stymie integration efforts into the bloc may not always be immediately successful, they nevertheless offer Moscow a low-cost strategy for fostering divisions within the West. 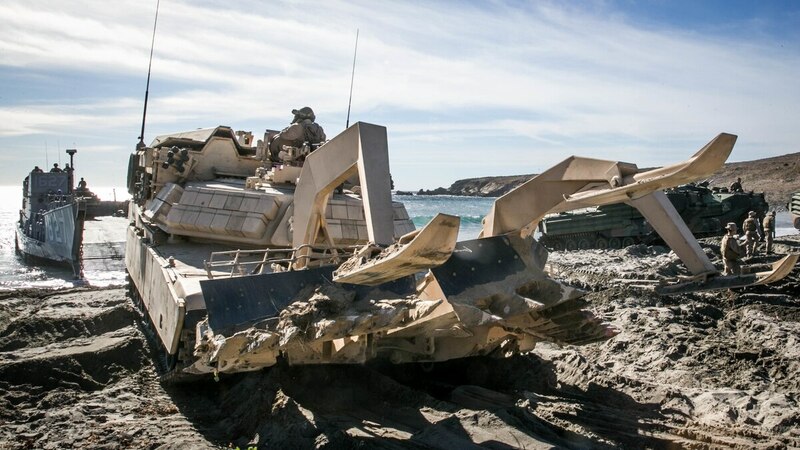 Army leaders say they are looking for more software-centric solutions that would more quickly detect and understand signals in the electromagnetic spectrum, a move away from traditional hardware solutions that perform the same task. In the electronic warfare space, some nations, such as Russia and China, have been able to take advantage of advancements in software capabilities that allow them to rapidly changes signals and signatures, which makes defense and signal classification more difficult. Army Lt. Gen. Bruce Crawford maps out how cloud computing plays an increasing role in how the force gets information on the battlefield. WASHINGTON – If there were any doubt before, there should be none now. “Solving” the global climate change problem may be humankind’s mission impossible. That’s the gist of the latest report from the Intergovernmental Panel on Climate Change (IPCC), the United Nations group charged with monitoring global warming. 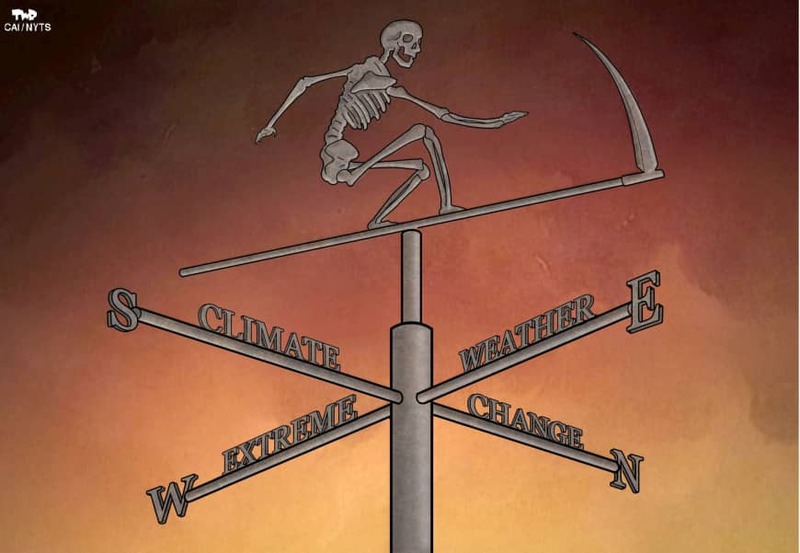 Unless we make dramatic reductions in greenhouse gas emissions (carbon dioxide, methane and others), warns the IPCC, we face a future of rapidly rising temperatures that will destroy virtually all the world’s coral reefs, intensify droughts and raise sea levels. We need to take action immediately, if not sooner. The Department of Homeland Security and the FBI identified this week unmanned aerial systems, or drones, as one of the greatest national security threats to America — rating it as severe a concern as cybersecurity hacks, critical infrastructure attacks, and terrorism. While drones are often thought of as techie toys, officials are becoming increasingly worried about the threat they pose and are warning it's only a matter of time until the devices are used to drop a bomb or fentanyl powder on people in a populated area. Drones are already used by transnational criminal syndicates and drug cartels. The technology is readily available to terrorist groups. The wars of the 21st century will be fought with the aid of a horde of robotic eyes. 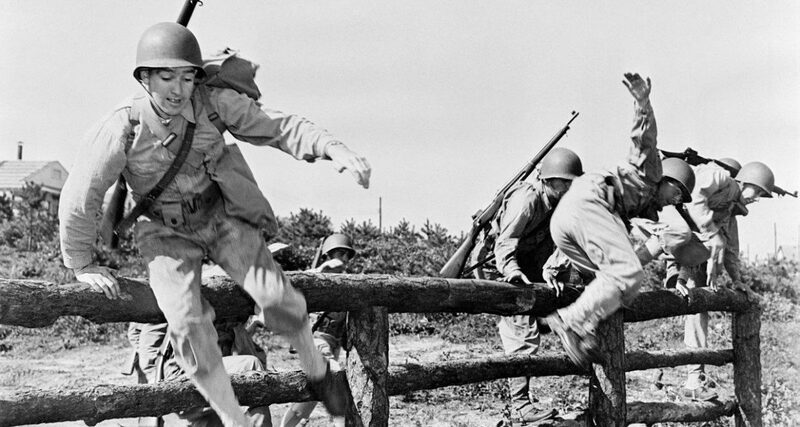 Earlier this year, The Strategy Bridge asked university and professional military education students to participate in our first annual writing contest by sending us their thoughts on strategy. Now, we are pleased to present an selected for an Honorable Mention submitted by Joseph O. Chapa from the University of Oxford. [War] is at all times a sad and cruel business. I hate war with all my heart, and nothing but imperative duty could induce me to engage in its work or witness its horrors. A half century ago, two computers at UCLA and Stanford were linked together into the first computer network. It was called ARPANET, after the military research lab that funded it. In the years since then, the network of networks that grew out of that lab has developed into the Internet, the nervous system of modern commerce and communication. With the rise of social media over the last decade, the Internet has changed to allow all of us to become individual collectors and sharers of information. As a result, it has also become something else: a battlefield where information itself is weaponized. The online world is now just as indispensable to governments, militaries, activists, and spies as it is to advertisers and shoppers. And whether the goal is to win an election or a battle, or just to sell an album, everyone uses the same tactics. Schneider and Macdonald’s research highlights important limitations of today’s drones. They are wrong, however, to conclude that the United States should reconsider its commitment to robotic technology. Quite the opposite: building better drones can solve many of the concerns they raise and should be a priority for future force development. Soldiers assigned to 101st Sustainment Brigade "Lifeliners," 101st Airborne Division, assist in response and recovery missions, Sept. 19 at Burgaw, North Carolina. Fort Campbell Soldiers are deployed to N.C. this week to support U.S. Department of Defense (DoD) efforts in assisting Federal Emergency Management Agency (FEMA) and other agencies as requested during the Army response to Hurricane Florence. "It is an honor as Americans to be called upon to help other Americans," said Eagle 6 Maj. Gen. Andrew P. Poppas, 101st Airborne Division (Air Assault) commander and Resolute Support deputy chief of staff operations. "The fact that the 101st Airborne Division's sustainment brigade can support the NATO-led Resolute Support Mission mission in Afghanistan while simultaneously deploying forces from Fort Campbell to assist hurricane relief efforts speaks to the flexibility and capability of the U.S. Army and the world's only Air Assault division."